Please refer to our stock # Misc130 when inquiring. 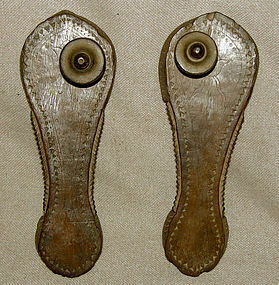 Instead of shoes, sandals such as these were worn in villages throughout India. Hand carved from indigenous woods, frequently teak and fitted to the individual wearer. The knob on the toe prevented the sandals from falling off and no other attachment was used.